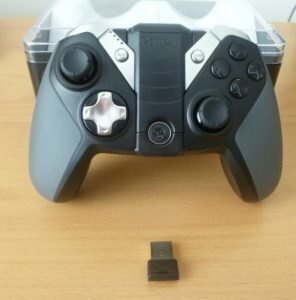 GameSir G4S Review The best controller for Android and Windows? When it comes to gaming on a PC with a controller, the Xbox 360 controller for the longest time was the pad of choice for the masses. We’re not going to get into the argument here of using a controller for PC games, especially when it has it merits in games such as Star Wars Battlefront. 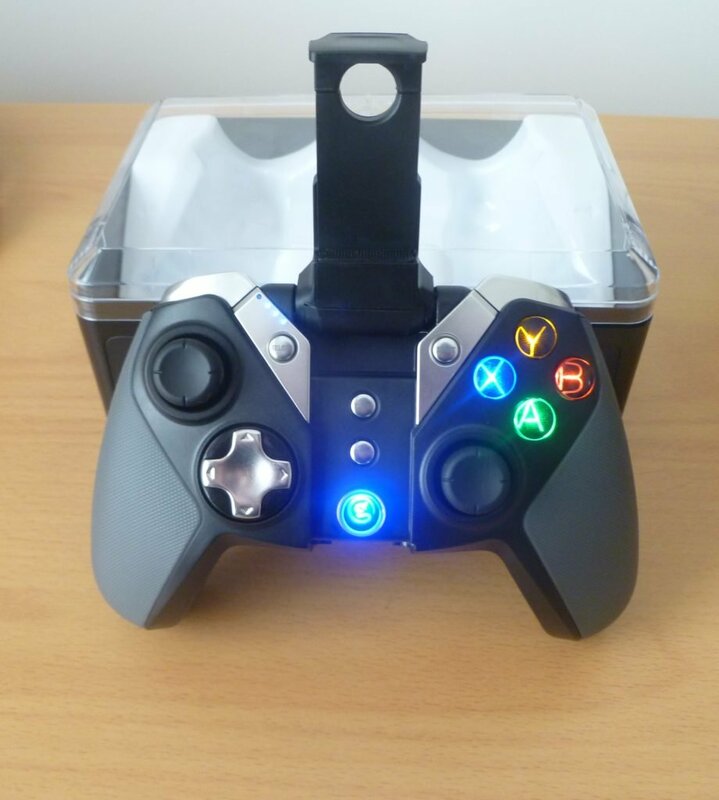 However, there is now a new contender for the crown of best PC game controller, and it comes from Gamesir. Dubbed the G4S, this is their latest in a long string of high quality controllers that you can use on your PC. It actually looks very similar to the Xbox One Elite controller but at a fraction of the price. Oh, and there’s the fact that you can also use this with your Android devices which is a novel feature that isn’t seen in other high quality PC controllers. The G4S is comprised how high quality plastics, with rubberised textures on the handles for better grip during intense play sessions. The analogue sticks on them are of perfect size with again rubber tops which will prevent your fingers from slipping off them when your hands get a bit sweaty! Further, the main face buttons are large enough that they are easy to press, and they also light up which is an added bonus, with there being varying degrees of brightness available. Overall, the controller is weighty, but not cumbersome and even for those with bigger hands, it is comfortable to hold for hours. The D-pad is also excellent, which was the main downside of the Xbox 360 controller which felt squishy at best. Thankfully this issue is not present on the G4S making it great for games such as Street Fighter V.
Similarly, the shoulder and trigger buttons have the correct feel to them, with the button presses being highly satisfying. 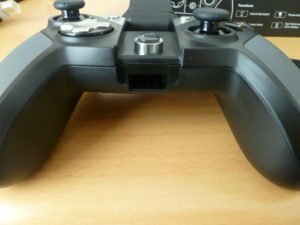 If you’ve ever had the misfortune of using a cheap and nasty controller, the G4S will be a breath of fresh air for you. The rubberised handles have the same width and feel as the handles on the Nintendo GameCube controller. 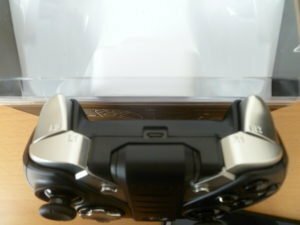 There is also a mount included in the controller which lifts up. The purpose of this is to accommodate your smart phone so you can use the G4S to play Android games. The mount itself is high quality and extremely sturdy. Those with larger phones might normally have had an issue getting their phone into it. However, this bracket is extendible allowing larger screen phones to fit in with ease. As an added bonus there are also cushioning in the form of rubber strips in this mount to ensure that no damage occurs to your phone when the holder is gripping it. It may not seem like much, but it is these added extras which really help add to the overall quality of the device. 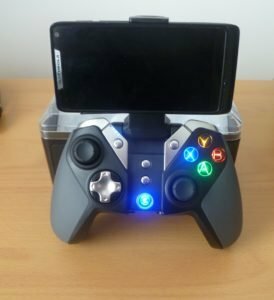 The included mount is a great way to hold onto your phone when playing games on Android. As mentioned above, it works on both Windows and also Android devices. On the Windows side of things, there are various ways to connect the controller to your PC. Given that it is touted as a wireless controller you can of course hook this up to your PC wirelessly. This is done by connecting the included USB dongle into a spare USB port on your PC and hitting home plus X. Doing so will activate the controller in X-input mode, or more commonly known as Xbox 360 mode. The benefit of this is that unlike other non-Xbox 360 controllers, you don’t need to use third party software to make your controller act like one. The drivers will then install and you’re good to go. As an added bonus, the dongle can be stored away in the controller for safe keeping when not in use. The included USB dongle can be stored inside the controller when not in use. There is also the option to use the controller in wired mode should you wish to do so. Thankfully Gamesir have also included a micro USB cable to connect your PC to the controller. This also charges the enclosed 800mAh battery. Charging from flat to full takes just under two hours, and you can get around 15 hours of gametime from it which is extremely good. Factors that can alter this is the strength of the rumble feature as well as the brightness of the lights. Both of these functions can be turned off completely. The micro USB charging port makes it ideal for charging and playing with the controller at the same time. Speaking of the rumble feature, this works extremely well. It’s really the sweet spot for a rumble device, although it would be nice if controller manufacturers went the full way and put a bonkers motor in it like Nintendo did on the GameCube. For those that want to game on Android, this can be done via the Bluetooth option on the controller, with it supporting Android 4.0 onwards. It is extremely easy to pair the device and there are detailed instructions in the manual for reconnecting the controller after it has been turned off. Added to this is that there is a download code included in the box for Happy Chic. This is a program that runs emulators on your Android tablet, as well as allowing you to download ROMs for it as well. We won’t get into the legality of the use of ROMs here, but the option is there for those that wish to take advantage of it. The controller was tested on various games, including Star Wars Battlefront and also American Truck Simulator. For the former, no tweaking was needing to use the controller. It was tested in conjunction with the Death Star DLC and it was a joy flying X-Wings, A-Wings, TIE Fighters and TIE Interceptors with the G4S. It is extremely responsive and acts exactly how you want it to, with manoeuvres being pulled off effortlessly. In the case of American Truck Simulator, several button mappings had to be set up. However that is due to the nature of the game and the fact that not every command can be set to the buttons on the controller. Having said that, the trucks responded perfectly, with the sensitivity of the left analogue stick being perfect for tight and wide turns. On Windows when in wireless mode, there was no noticeable lag present which can normally be a deal breaker in online games. Therefore, you’ve only got yourself to blame if your shots aren’t on target. The same is true for the Bluetooth mode on Android. After testing it with various emulators, there was no input lag detectable that would otherwise ruin the game play experience. The GameSir G4S is an exceptional controller for both Windows and Android devices. 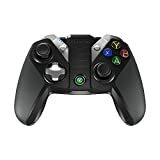 It is inexpensive when you consider the quality and the functions that are included within it and it should be your controller of choice if you want to play video games on either of these platforms. We couldn’t find any faults with it, and the build quality matches that of a Nintendo product. Compatible with Android 4.0 and up devices, such as smartphone, tablets, smart TV, TV BOX. Window 7 or later version PC, as well as the Samsung Gear VR and other android OS VR, support thousands of controller-enable games. Three main connections: Bluetooth 4.0, 2.4GHz wireless USB dongle and wired. Ergonomic, and attractive design with top-toughened materials, brief and smooth streamline, it feels firmly, and comfortable to your palm with the texturing in the surface. The layout of the buttons is so humanized as to operate fluently and efficiently.